Signs Visual prints custom-made pvc sintra board signage in New York City. Our pvc sintra signs are available in thicknesses of 1/8", 1/4" and 1/2" thick. They are either directly printed on or applied with a high-quality digital vinyl lamination. The board itself is very durable for both indoor and outdoor use and provides more rigidity and flexibility in place of metal or acrylic with the same look and effect. 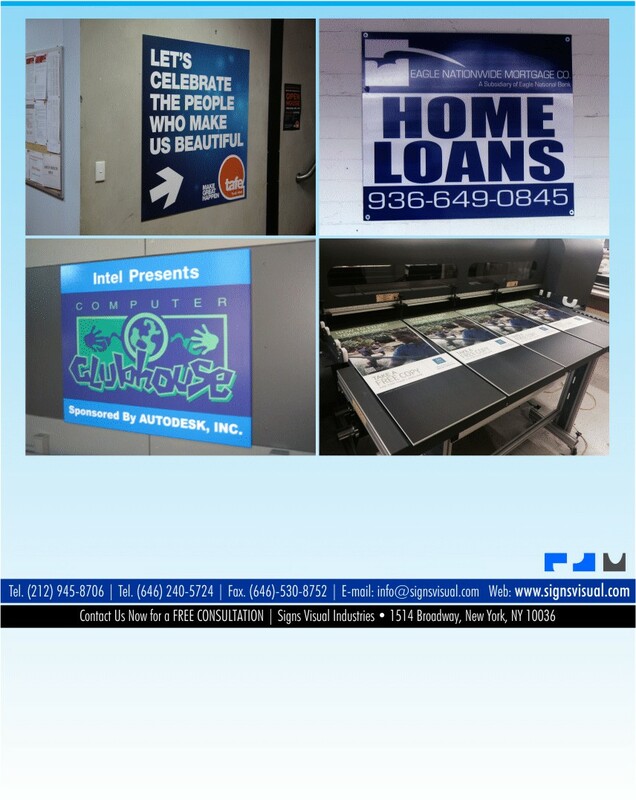 Contact us today for your next quote on your pvc sintra board signs in NYC!